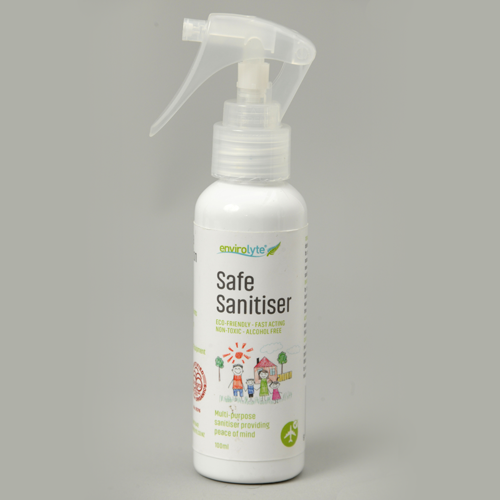 Multi-purpose, benign broad spectrum household sanitiser, ideal for sanitising hard surfaces around the home, caravan, boat or office. 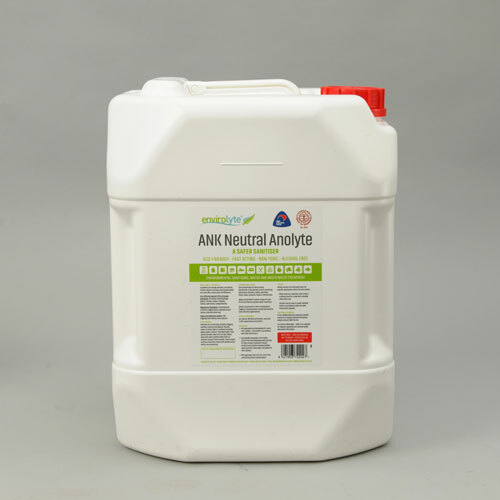 With global organic recognition Envirolyte NZ Anolyte will ensure there is zero risk to your family whilst eliminating 99.9% of known pathogens. 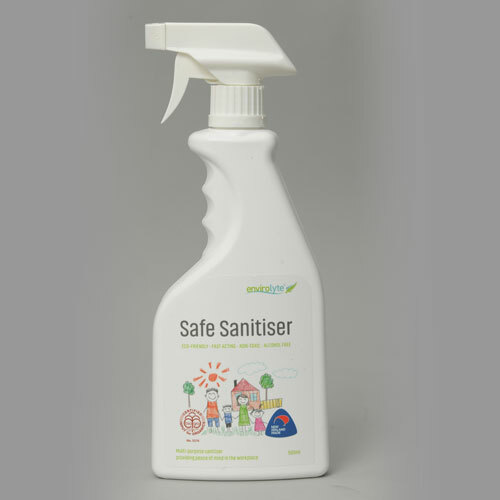 Apply to surface by spraying, immersing, soaking, brushing, wiping or fogging. 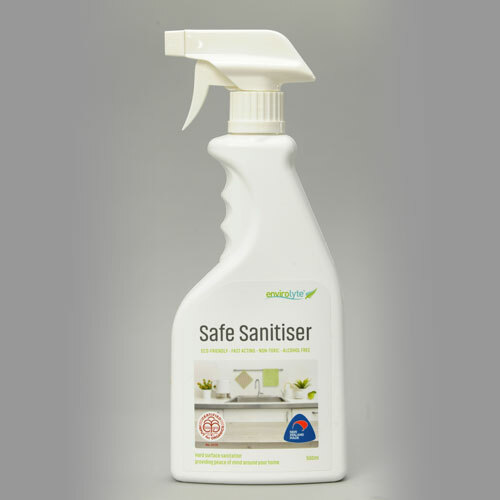 Safe on surfaces including glass, stainless steel, plastic & wood. Wipe away after 30 seconds contact time. Store sealed in a cool dark area. In the unlikely event you have any medical concerns or require potential risk advice, please contact 0800 764 766. For further information – refer to our website for relevant approvals and material safety data sheet information.